Crocheted scarves are my favorite projects to make, especially for the winter season. 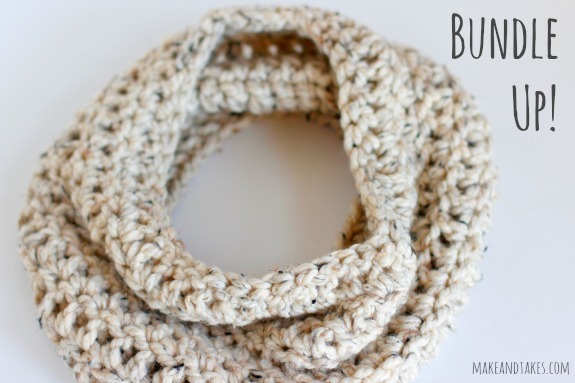 For today’s Crochet-A-Day series project, I’m sharing my quick and easy one skein Chunky Crochet Cowl. 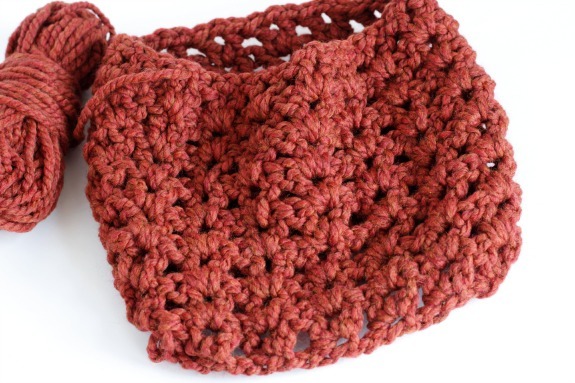 It’s an infinity scarf crocheted in the round, making it fun and easy to wear anytime, anywhere! 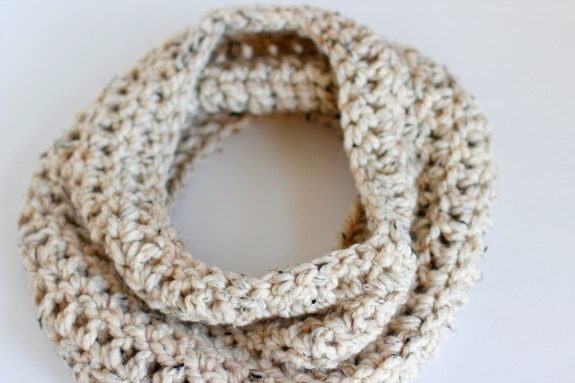 My new obsession with scarves is using chunky yarn, it makes it super quick to whip up a scarf or a cowl in a day. 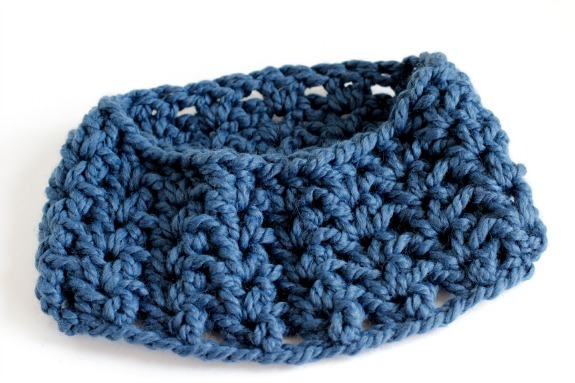 For the cowl pattern below, you only need one skein of yarn. I love using Lion Brand’s Wool-Ease Thick and Quick. It’s the best! NOTE: for the following pattern, I’m crocheting in the round. 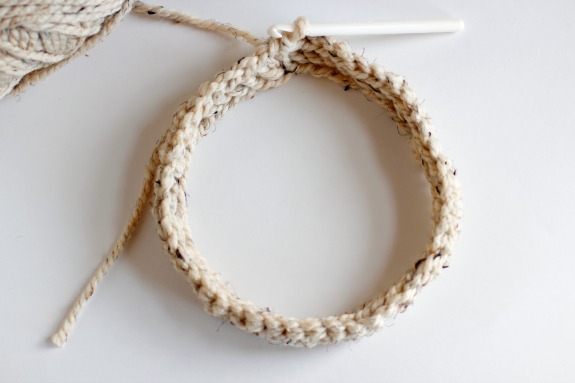 You can crochet this as a long rectangle and then whip stitch the ends together to form the circle. 2. 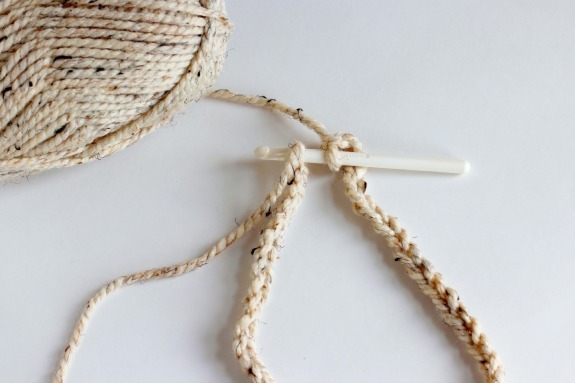 When you get to the end of the chain, straighten out your chain (no twists) and slip stitch through the first chain. 4. 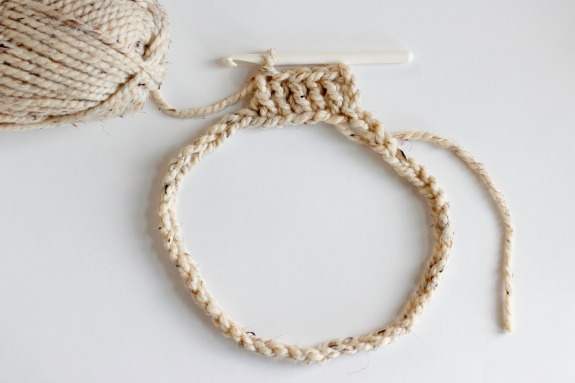 Round 1: Double crochet into the 5th stitch from the hook (including your chain 3). 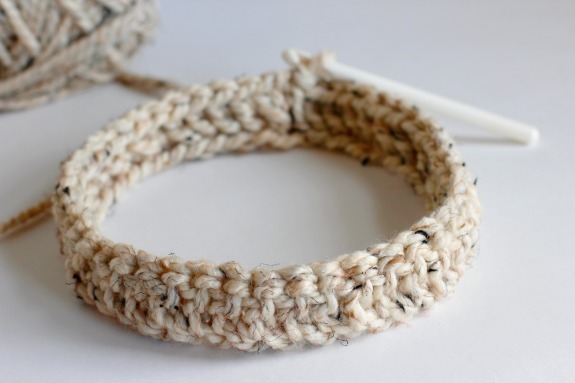 Continue to double crochet in each stitch in the round. 5. 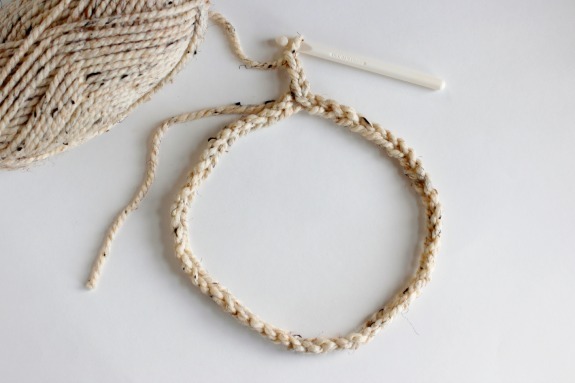 When you get to the end of the round, slip stitch through the top of the first chain of 3 in this round to join the circle. NOTE: You can turn your yarn after each round, but I don’t in this pattern. It’s okay if you do, it just gives it a different texture. Here’s what it looks like with just one round. It’s kinda cute just like this. You could turn it into a small necklace or neck wrap. 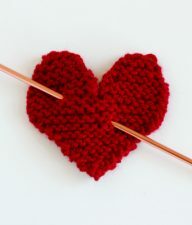 Add a flower or heart to embellish! 6. Round 3-8: repeat steps 3-5 for each round until you get to the height you’d like. Here is what 6 rounds looks like. This is a pretty good height for a more mellow cowl. Although it doesn’t bend and chunk as well as the taller cowls. Here is what 8 rounds looks like. This is my favorite. I could go 1-2 more rounds with the rest of my skein, but I really like the 8 round height for a chunky cowl. 7. 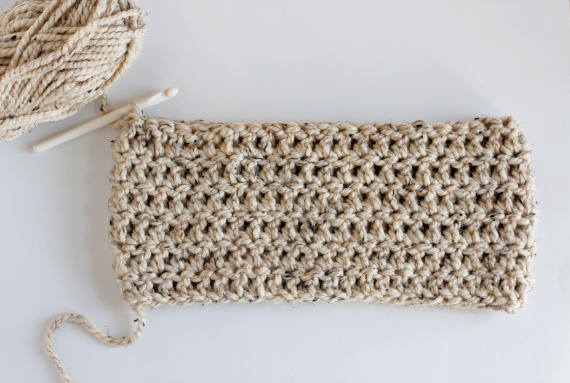 Once you have it at the height you want, tie of your end, trim and hide your tails with your crochet needle. NOTE: To double your cowl to wrap: chain 100 stitches, and follow the pattern above. This will make it so you can wrap and double up your cowl. This would work with 5-6 rounds really well. I’ve been making loads of these scarves and giving them to everyone I know. I can now make one in an hour or two, super quick. Below are 2 different style scarves. 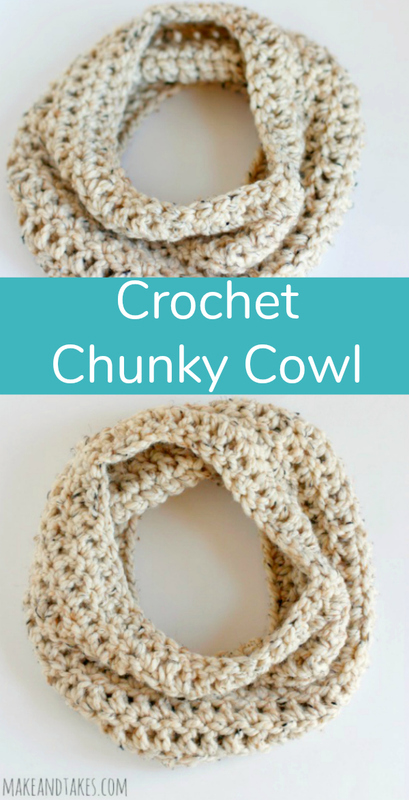 They are both based off the chunky V-stitch cowl pattern from the amazing Jennifer of Fiber Flux, but crocheted in the round, one with 5 rounds and one with 8 rounds. 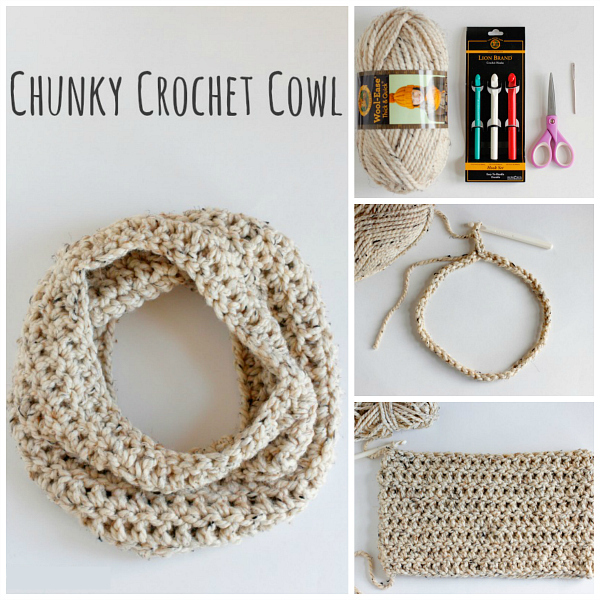 Believe me, once you start using chunky yarn, you’ll never stop! 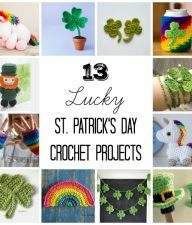 Now go crochet today! 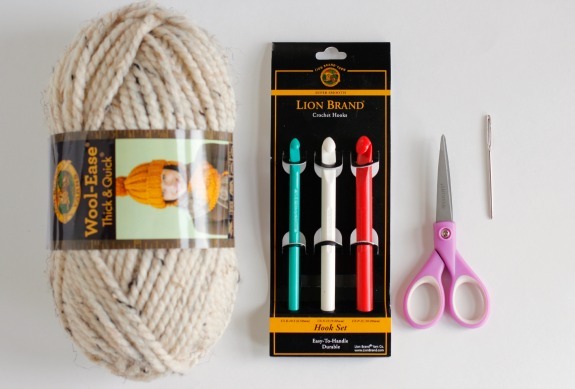 Be sure to head over to Lion Brand Yarn to see more tips and tricks on their blog, as well as the variety of fantastic yarns they have available. You’re going to love Wool-Ease Thick & Quick!! **Thanks to Lion Brand Yarn for sponsoring this project. 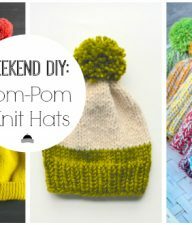 Find them on facebook, twitter, and pinterest for yarn project inspiration! 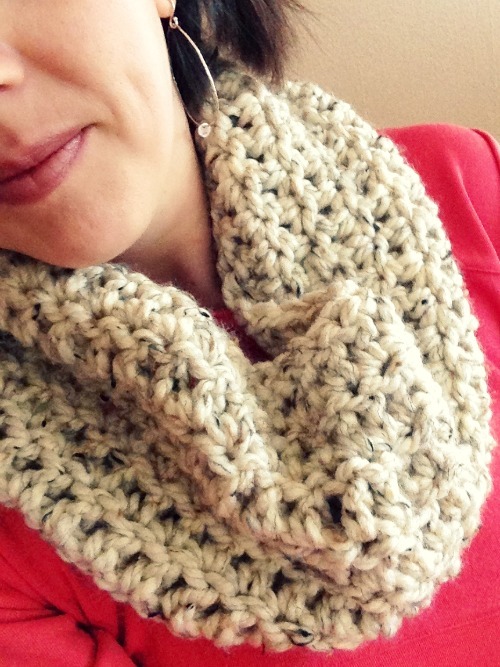 Love the look of this cowl! My only concern is the size… Just out of curiosity, what are the approximate dimensions of your finished product when it’s laying flat ? I am having a hard time getting it over my head, but perhaps I just have a giant noggin :) Thanks for the great instructions! And I’m totally loving working with this yarn! I love it! Thanks for sharing. So happy it worked out so well for #1! Have fun with crochet. I just started a crochet class! I love it… will be saving this one. Thanks so much for sharing. p.s. I love-love-love LION Brand yarn. I want it. that EXACT one. 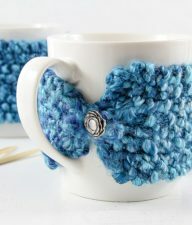 such a cute style, and love that yarn! I love that wool! 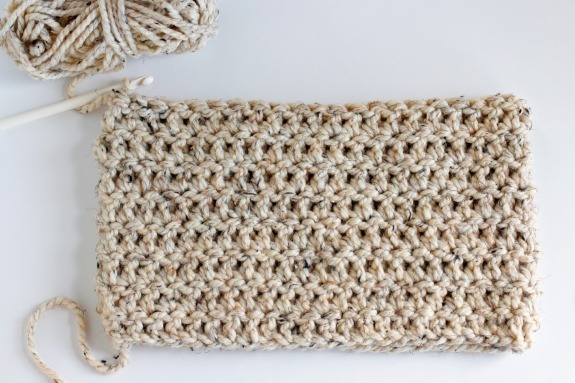 I use it for infinity scarves that wrap around twice. I go through 3 skeins and they’re so awesome. But this pattern looks nice and fast-thanks for sharing! 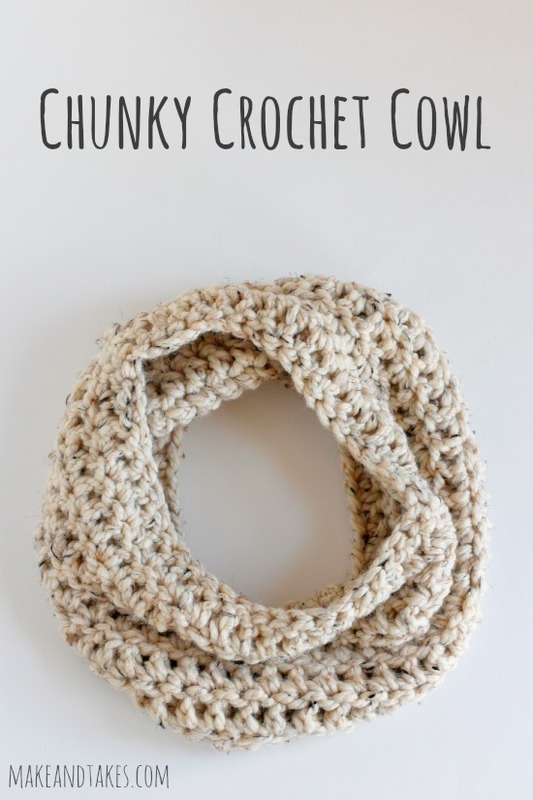 I like this Chunky cowl, but I’m in the UK…. Please can you translate crochet hook size N into size in mm for me please?! Thanks! Gabby – Yes! For the UK size of an N hook, it’s 9.0mm. Many thanks for the size conversion and the link to a conversion chart! I recently made a cowl using Thick & Quick and it sold almost as quickly as I put it on display! This winter I am crocheting lots of pretties that I will sell next Christmas. Everyone likes a cowl and they look so beautiful in the neckline of a coat or jacket. Thanks so much for hosting this series. I have found so many pretty patterns and great ideas. Thank you, Suzan! What sweet comments. And so fun to hear your great selling success! !